Are you a military spouse with a Juris Doctor degree? 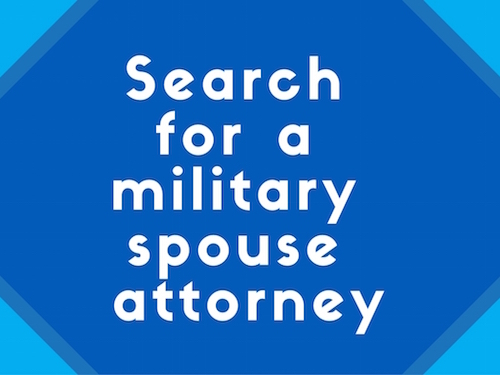 Are you a military spouse legal professional? Are you a member of a bar association that wants to ensure bar membership for military spouses? Are you a community member interested in supporting improvements to the legal profession? We welcome anyone interested in supporting military spouses with law degrees to get involved and join MSJDN. Together we can improve the options available to military spouses in legal professions. Questions about membership? Check out our FAQ. I want to provide pro bono legal services to military families.